Aerial view of Mountains and volcano at sunset. Volcano Mount Agung at sunset , Bali, Indonesia. 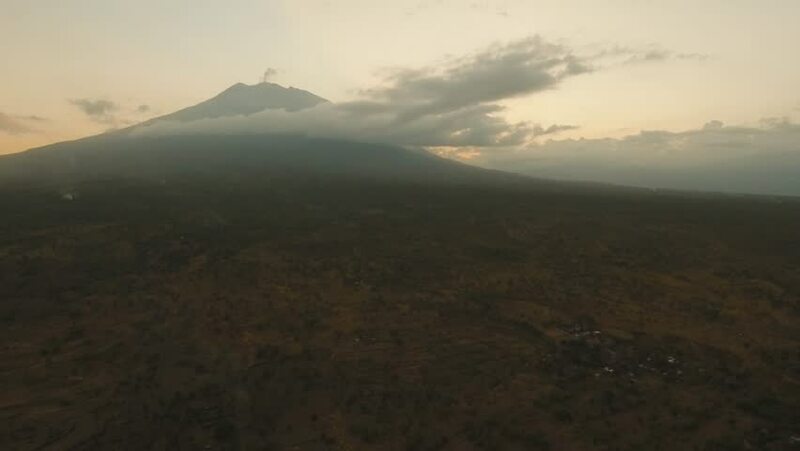 Conical volcano of 4K, Aerial footage. hd00:41Aerial shot : Sunset time Peak of Pha Son mountains in Narathiwat Province, THAILAND.